I am honored to welcome you to my blog about awesome healthy food, delicious and nutritious recipes, and a holistic approach to a balanced and happy life. 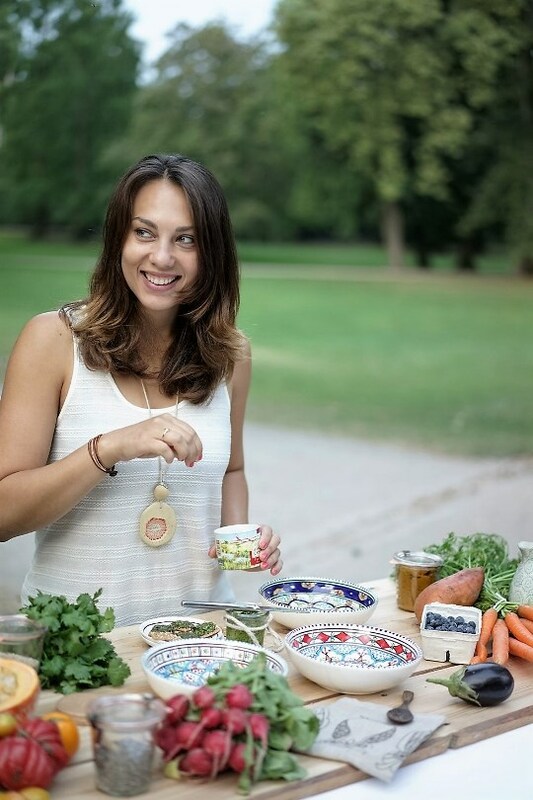 I am Marijana; a passionate foodie, hobby chef, and sports enthusiast from Germany, who is always on the lookout for new, exciting recipes, quality information relating to all aspects of health, and activities that contribute to a happier healthier lifestyle. Years of reading articles on nutrition, trying out various diets, playing different sports, and also dealing with some chronic pain issues at a young age, have sparked my interest in nutrition and a healthy, physically active lifestyle. I love spending my time surrounded by tasty, nutritious foods, savouring intense flavors, creating great recipes, as well as being active. Growing up in a wonderful family where meals were always cooked from scratch, I developed a natural relationship to food. Most recipes were simple traditional dishes from the Balkan with natural ingredients and no modern restrictions, such as paleo or gluten-free. Until this day, we enjoy cooking in a big kitchen and sharing our meals with all the food on the table in a cozy environment. Apart from nutrition, I have always been actively engaged in sports. I played tennis for 20 years and I also enjoy a variety of other sports and exercises; vigorous ones like skiing, running and ball sports as well as calm and meditative ones such as Yoga and Pilates. My goal is to inspire and motivate people to embrace a healthy balanced life and enjoy the treasures that our earth offers. I believe that beyond providing us with nutrients, food has a deeper meaning in our society in terms of social interactions, traditions, and emotions. Every meal can be a little celebration or just a way of enjoying life, being with the people we love, unwinding from a stressful day, connecting with different cultures and people, or experiencing new taste explosions. Food is also a very sensual experience. You can see bright colors of exotic fruits, hear the cracking sound of nuts, feel the tiny hairs on a raspberry’s skin, and eventually taste the delicate, unique, and rich flavors of all the different foods. My diet does not fit into a box labeled vegan, low-carb, gluten-free or raw. Instead, I believe that nature has provided us with a huge spectrum of delicious ingredients that provide everything we need to nourish ourselves well and support our bodies. My wish is to inspire you to join me on my food journey with healthy whole foods, flavorsome recipes and a balanced lifestyle. I am very grateful for your inspirations, ideas and comments, as long as they don’t violate my code of honor*. I hope that I can add value to your approach of a healthy lifestyle and bring some new ideas to your kitchen and movement to your lives! *Code of Honor: With the rise of social media and blogs in the virtual world, people have access to all sort of information, along with the ability to express their thoughts and beliefs on public websites. While I truly appreciate the idea of global interconnectedness and constructive exchange, I would like to request respectful, polite and non-defamatory behavior on my blog. Intending to stay as close to scientific facts as possible, I resource much of my blog posts’ content via reliable and reputable sources, such as Nutritional Healing by Phyllis A. Balch, CNC and Staying Healthy with Nutrition by Elson M. Haas, MD or any website that I believe I can trust. Should any information be incorrect, outdated, or insufficient, I appreciate your input and will rectify the data accordingly and thus add value for all of us. I encourage you to share your comments, views and insights, as long as they are respectful and courteous. I believe that we can learn and benefit from each other and should take advantage of this possibility provided by the worldwibe web. Please note that disrespectful and discriminating comments will not be published on my blog. For more information, please refer to the legal disclaimer. I thank you for your kind cooperation.